It’s been a pretty chilly winter so far, hasn’t it? Biting winds, frigid nights, and plenty of snow. In other words, this is the wrong time for your home furnace to start pushing cool or cold air through the vents. Having some trouble? The experts at Service Plus Heating, Cooling & Plumbing can help you troubleshoot your HVAC system. If you’re lucky, maybe you can resolve the issue without needing to contact your heating repair experts—and before your toes start to freeze! Tired of stressing out about your misbehaving furnace? Contact the furnace repair experts at Service Plus in Indianapolis online now! Thermostat. Let’s start with the simplest. Go and check your thermostat and make sure the temperature is set high enough and the system is set to “heat.” It may seem silly, but this is a fairly common occurrence. You never know who may have bumped into the thermostat at one time or another! Air filter. A dirty air filter blocks proper air flow, which can cause your furnace to either blow far too little air or run too long and eventually overheat (i.e. shut down). To avoid the issue completely, be sure to change your air filter once every two months or so during peak seasons. Pilot light. A gas furnace system relies on the pilot to keep operating correctly. If the pilot goes out, it may not necessarily mean the furnace will shut down completely, especially in older furnaces. However, this can lead to a system that’s running, but not heating. Your ducts. If your ducts are old or have encountered a problem that may have left them damaged, then they may either be leaking cold air or letting cold air in. However, pinholes and cracks can be dealt with by a professional HVAC technician, so there is nothing to worry about. Electrical issues. A variety of electrical issues, from the thermostat to exchanger connections, can lead to a loss of heating power. To avoid these, be sure to get your furnace tuned up yearly. An incorrectly sized unit. If the furnace installation was handled by someone less experienced, or if the home is larger now than it was when the system was installed before, you might simply be lacking heating throughout. A furnace must be sized specifically according to your home in order to keep up with warm air demands. Did we find your problem? If we didn’t, or if you need an expert to help you out, then you’ve come to the right place. 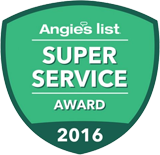 At Service Plus, we’re proud to offer our clients top-class furnace services and priority repair. We make staying comfortable easy, so just give us a call at (317) 434-2627 or contact us online when you need help!